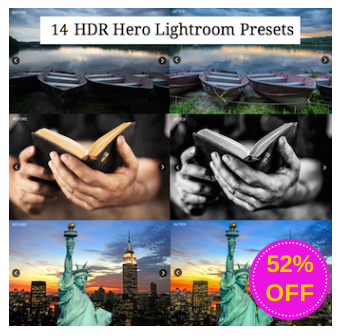 PhotographyPla.net brings you 14 HDR Hero Lightroom Presets for only $13. 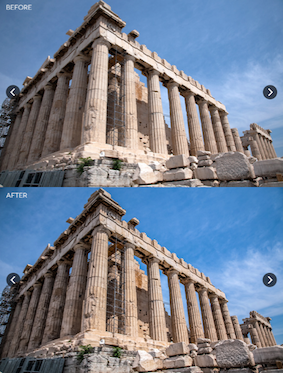 Save lots of time creating effects for your photos. Includes more than 70 presets. Compatible with Lightroom 4 and 5. But don’t delay, this SnapnDeals is only good for a limited time! With this set of Lightroom presets you can get HDR-like effects with a single image. This set includes 14 different 1-click presets for achieving this type of look, plus a full suite of workflow presets created specifically to allow you full flexibility while applying faux HDR effects easily and quickly. The workflow presets include more than 50 stackable presets for making specific types of adjustments. You can select the type and strength of tone adjustment that you would like, the contrast, clarity, vibrance and saturation, and more. It is the most flexible and comprehensive set of Lightroom presets available for creating faux HDR effects. 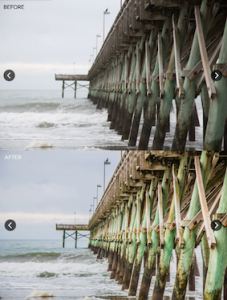 These presets work in Lightroom 4 and Lightroom 5. Documentation is included to show how to install and use the product. 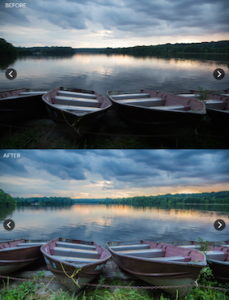 The presets work with RAW and JPG photos, but we recommend using with RAW files for the best results. Our products can be purchased individually, and we also offer a PlanetPass, which will provide you with access to download any and all of our products. The PlanetPass is good for a full year, so you’ll be able to download any products that we release for the next 12 months.